In 2013, I attended my first TEDActive and really didn’t know what to expect. My experience with TED up until that point included watching TED talks and organizing a TEDx event in Lithuania. I had also attended a few other TEDx events outside of Lithuania. I knew there was a global TED community, but I didn’t really feel part of it. I decided to go to TEDActive simply to absorb everything I could. You can imagine my surprise when I got there: I met my tribe. I instantly felt that I belonged, that geographical borders didn’t matter and that I definitely didn’t want to go home. I suddenly understood why people in the Facebook group had described TEDActive as a family gathering and as the week that they most look forward to every year! Throughout the week, I felt overwhelmed by all of the amazing activities and the extraordinary people I was meeting. Since it was my first year at TEDActive, I was running around and trying to do it all — which of course left me burnt out at the end of the week. Nevertheless, TEDActive was transformative both in my personal and professional lives. My first TEDActive is a week I remember for the rest of my life. Be prepared to be surprised. You will never know what person, conversation or talk will strike you the most. Keep your radar on at all times, because you’ll have your “TED moment” when you least expect it. 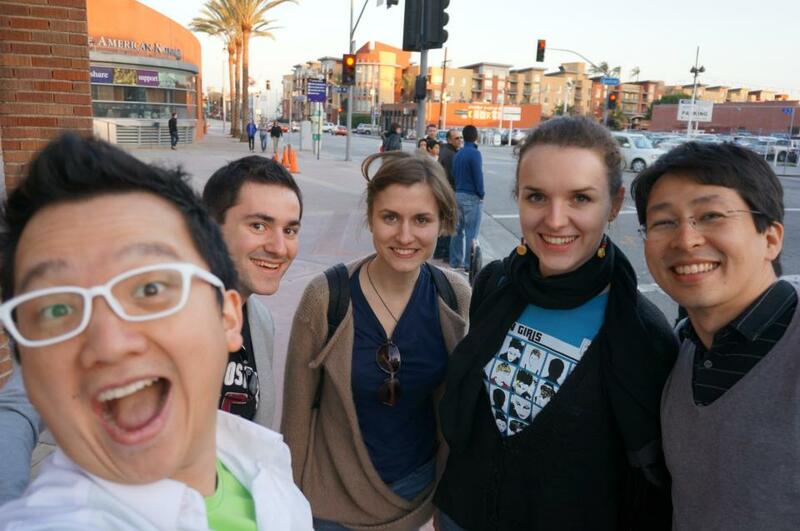 Pictured here are Aaron Tango Tang, Juste Staselyte, Andre Manoel, Hugo Wagner and I in Los Angeles in 2013, right before my first TEDActive. At the last minute, Juste and I jumped in their car for a ride to Palm Springs from the airport. This car ride sparked the beginning of our deep friendships! Be present. There are dozens of different activities happening at the same time. Don’t worry if you aren’t able to do it all. That’s totally normal. Aim for one deep conversation rather than ten small chats. Focus on the person you’re talking with or the activity you’re participating in. There’s no place for “fear of missing out” here — accept that you’ll miss some things. That’s the beauty of TEDActive: When you talk to people afterwards, it seems like everyone experienced a slightly different conference. Get some sleep. Seriously. I cannot function normally without having at least eight hours of sleep. Get some sleep before coming to TEDActive, but also make sure you get at least five to six hours of sleep every night in Whistler. Some people can keep going nonstop, but I can’t. There is no shame in taking a break. I go alcohol-free at TEDActive too, because the combination of lack of sleep, jet lag and alcohol add up to an exhausting experience! Put your phone and computer away. This is the group of people you can enjoy being together with only once a year. I don’t want phone calls and emails to ruin my experience. If possible, I avoid bringing my computer altogether! Be spontaneous. Forget the plan you prepared and be ready to change it often. Just follow your gut. Do something you’ve never done before! Get into a snowball fight, sing in a lip sync battle, wear your pajamas to the theater (this is a Thursday tradition by the way) and get others to join you in the fun! Attending TEDActive was transformative for future TEDxVilnius events. I learned what it really takes to organize a TED-like event, and believe that TEDActive should truly be a benchmark event for every TEDx organizer. TEDx workshop: This is where you’ll meet organizers from around the world, just like you. It’s where you can share your experiences, ask questions, teach and learn. It’s also where you can meet TED staff — many of the people behind every TED event. I always keep in mind that not all people attending TEDActive are TEDx organizers, so I avoid conversing in TEDx topics during the TEDActive week, but the TEDx workshop is a great place for those conversations. Community engagement: TEDActive sets a perfect example of how the audience should be curated and kept engaged from the moment registration opens until the last second of the event. I always say that only half of an event’s success depends on the program and speakers — the other half depends on the people in the room. You will definitely learn a lot of attendee curation tricks at TEDActive in order to see what might work for your own event. Partners: It took five years to “train” TEDxVilnius partners that a TEDx event is not a trade show. It’s a different kind of event. At TEDActive, you understand why and how that can be done. Take a lot of pictures of partner zones and social lounges and show them to your TEDx event partners back home. Also, if you share Ronda Carnegie’s video with your partners, it will make an impact. It did for us. Stage and production: If you’re a stage and production geek, you will definitely enjoy all of those details at TEDActive. How the stage is designed, what kinds of screens are used, the order of speaker introductions, interstitial videos — I could go on and on. The first time I saw TED’s “media cave,” I just wanted to stay there for the rest of the week. 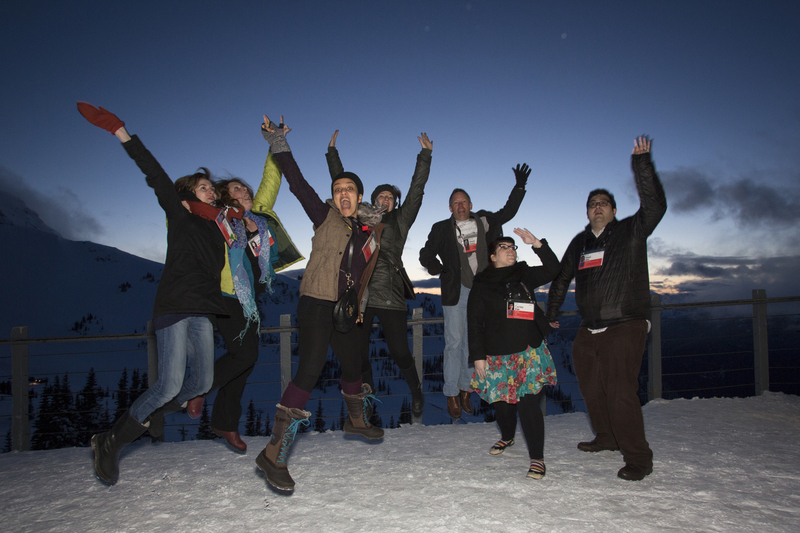 Of course, there are many other ways to have an amazing experience at TEDActive, so please share your tips too! This is going to be an incredible week and I can’t wait to share it with all of you: 700 extraordinary people from nearly 60 countries. Four days to go!